A museum dedicated to Swedish super-group ABBA opens in Stockholm. Reports the BBC: "A lot of the exhibits were previously on display as part of the Abbaworld exhibition that toured Europe and Australia between 2009 and 2011, including a stint at London’s Earl Court. However, there will also be some new items, which the former members have donated from their personal collections…. The museum also features a 1970s disco dance floor for visitors to practice their moves, a space where they can audition to be the 'fifth member' of the band, and offers the opportunity to sit inside the helicopter featured on the Arrival album cover (above). Find more information about the museum at is site, here. See a gallery from the museum here. 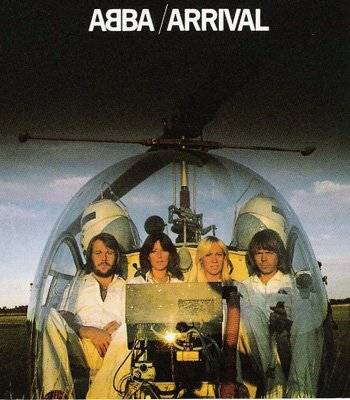 And watch ABBA in action in the videos below.